Ripple dissolve to an idealised Christmas: high-quality time spent with friends and family. Laughing and playing games on Christmas Day. Happily gaining three or four pounds in December, and losing them again in January. Now crash zoom to an all-too-real Christmas: gifts of dubious quality bought for friends and family. Giving and receiving tat on Christmas Day. Stressfully squandering hundreds of pounds in December, and carrying debt through January and beyond. 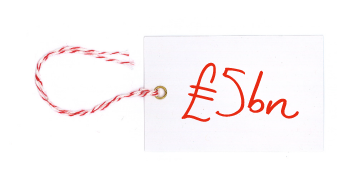 The average British household will spend 59.6% of their entire Christmas budget on presents. Christmas has changed from a season of warm intention to a crazed cacophony of overconsumption. It may pain you (but likely not surprise you) to discover that the average millennial Londoner will spend £767 on Christmas presents this year and US holiday season spending alone will surpass the GDP of 181 other countries. Who or what’s to blame? 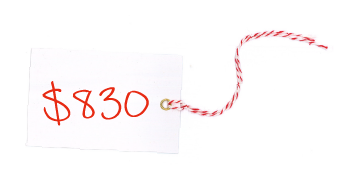 In the US, adults plan to spend $830 on Christmas gifts this year; up from $720 last year. Blame our greed, with Christmas coming as it does in the middle of full-on want-a-thon that begins with the darkly-named Black Friday, reboots with the dystopian Cyber Monday, extends through the twelve days six weeks of Giftmas then enters the home splurge straight with the Winter Sales. 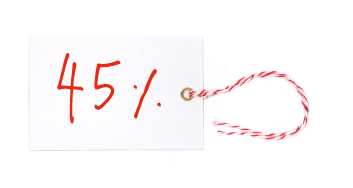 Why stop buying at Christmas? Especially when we’re buying so generously for others, who in turn we hope will buy as generously for us. Britons were predicted to spend £5bn between Black Friday and Cyber Monday this year, or £19,290 per second. Blame our anxiety, with many of us tut-tutting about over-gifting in public but being secret over-gifters in private, anxious that our attempts at immateriality will be mistaken for parsimony or poverty; anxious that the wooly hat we’ve carefully knitted for our loved one would be better received alongside a Burberry trench coat. And blame Santa. Yes, that rotund, ruddy-cheeked, giftoholic who defies the idea of peak present year on year. Using a clever royalty waiver (anyone can use his name or image), a long-term brand sponsorship (Always Coca Cola – or at least since 1931) and unmatched street activation (pseudo-Santas in malls and grottos throughout the world), the bearded one markets a consumptive global narrative of gold, lack of common sense and myrrh. In fact, Santa has many issues. He’s an alcoholic who drink-drives, breaks into homes and creeps around children’s bedrooms. He mistreats his workers, forcing them to make and store millions of presents in freezing conditions for no pay. He engages in animal cruelty, whipping a pack of reindeers to transport millions of boxes around the world in one endless night. But these wrongdoings are small fry compared to the big one: being the false prophet of consumption. Santa was once known as St. Nicholas, a Turkish monk much admired for his piety and kindness; a man who gave away his inherited wealth and travelled the land to help the poor and sick. But from promising beginnings, he fell into bad ways. He became a big-time present pusher. Now Santa gets you young, using sugary little ditties that tie your self-worth to gifts (remember he knows when you’ve been naughty). Once you’re hooked, he feeds you more, creating a growing expectation of ever more lavish presents across your gifting and giftee life, gleefully doing his job as commercial Christmas’ beloved avatar, stoking the factories of consumption throughout the world and melting the very icecaps that he supposedly calls home. 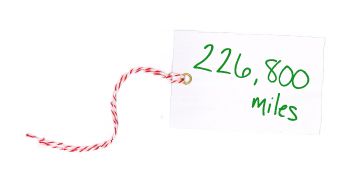 Britons will collectively rubbish a billion cards and 226,800 miles of wrapping paper after Christmas. Spoiler: Santa isn’t real. Even so, this powerful, bloated, aged, consumption-obsessed climate change denier (sound familiar?) must die. In his current form, Mr S. Claus enables and excuses a holiday season where love comes a poor second to material love. For the sake of our Christmas spirit and our climate, he must be gone. Banned from grottos. Exposed in imagery. Written out of songs and myths. Taught as a cautionary tale in economics modules. Disgraced in the stories that parents tell their children. 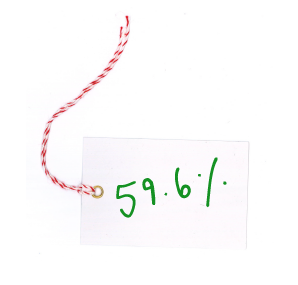 The average Christmas-celebrating family will send up to 45% more waste to their local landfill. With the Santa Effect neutralised, it leave us free to form another sort of relationship with Christmas. One which unties the gift ribbons that entangle spend and worth. One, to quote The Grinch, “that doesn’t come from a store” but “means a little bit more,” and one in which we’re making our own gifts, or buying gifts that do a little good, or combatting loneliness with time instead of tat, or starting new zero-carbon traditions like stealing something from a friend in the year and gifting it back to them at Christmas. There are two meanings of ‘present.’ It’s a gift, and it’s the now. If we could look up from our present and think about the future – and understand the damage that our overconsumption will do to generations coming after us – perhaps we’ll see our duty to resist what Santa stands for, and wrap our gifting with a little restraint. It’s one thing to want to fight against consumption at Christmas, it’s another thing to actually do it. Separating Christmas from gifts is going to be difficult, but it’s time to be brave and stop buying people things they don’t want. For Christmas 2016, Do The Green Thing is debuting Ungifted, a service that is ridding the world of festive junk, one Ungift Card at a time. 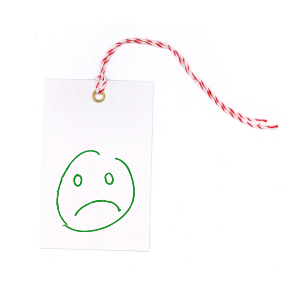 Join our anti-tat movement by Ungifting the people you care about and give them some of your precious time instead. It’s easy, it’s green and it’s free. Ungift the ones you love and do the green thing here.